BLAST AWAY FAT IN THE PINKZONE! Try the most effective workouts designed and optimized specifically for women's unique bodies. Unlike the few other gyms around the nation which have group heart rate monitor systems, our HRM system and its internal mathematical formulas are specifically designed and optimized for the unique physiology of women. Keep your body burning maximum calories for up to 36 hours after your workout! We all know that women's bodies are vastly different from men's bodies. So having all of your workouts and systems in the gym designed specifically for women only and their unique needs is a gamechanger! 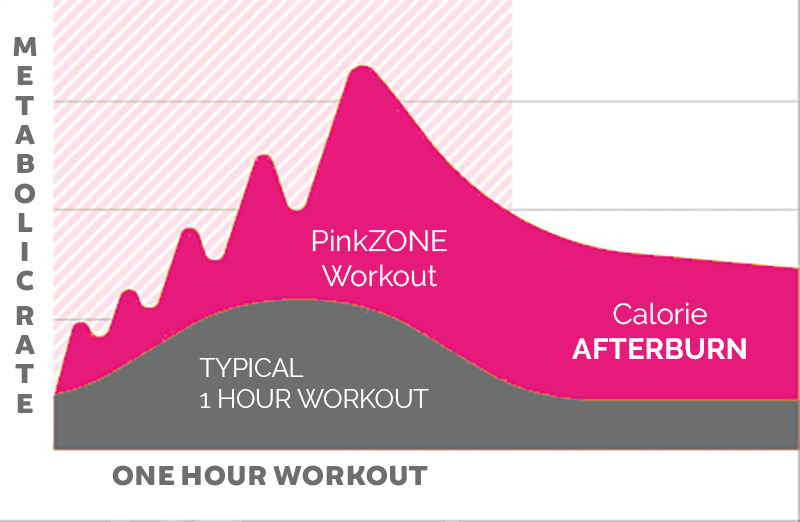 Not only are our workouts designed and optimized specifically for the unique physiology of women's bodies, but our PinkZONE group heart rate monitor system and its mathematical formulas are also specifically designed and optimized for YOUR unique physiology! Only the ladies-only Pink Gym can give you what no other gym provides - game changing workouts and state-of-the-art fitness technology designed only for ladies. 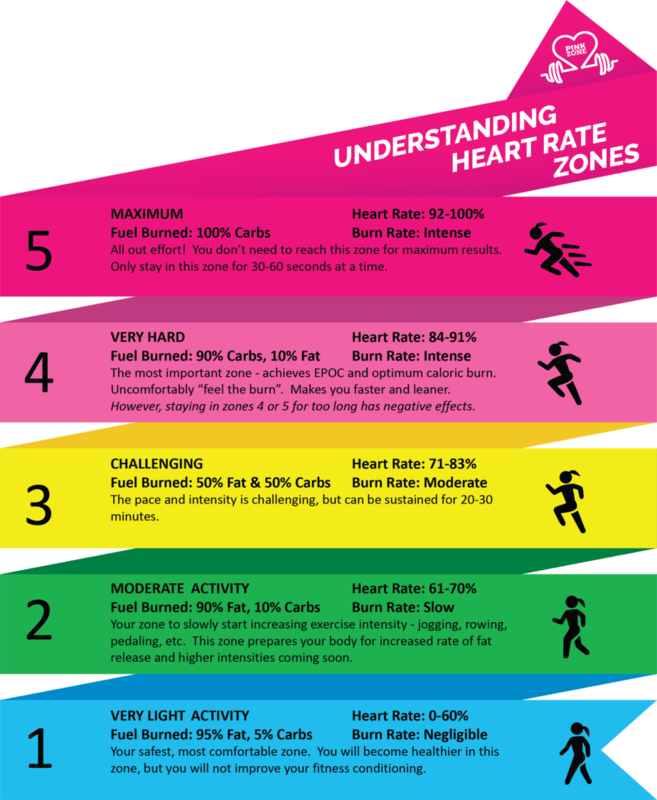 Our PinkZONE group heart rate monitoring system works with heart rate monitors (HRMs) which use the ANT+ wireless communications protocol. This is a different and more robust wireless communication technology than standard bluetooth and allows multiple people to use it at the same time. Dual band HRMs work with both ANT+ and standard bluetooth, which gives them complete compatibility with our PinkZONE system and some phone apps which only support standard bluetooth. There are different form factors for HRMs including chest straps, wrist bands and even in-ear HRMs now being built into some earbuds. Chest straps are the most accurate type of HRM. Chest straps are the most accurate type of HRM. 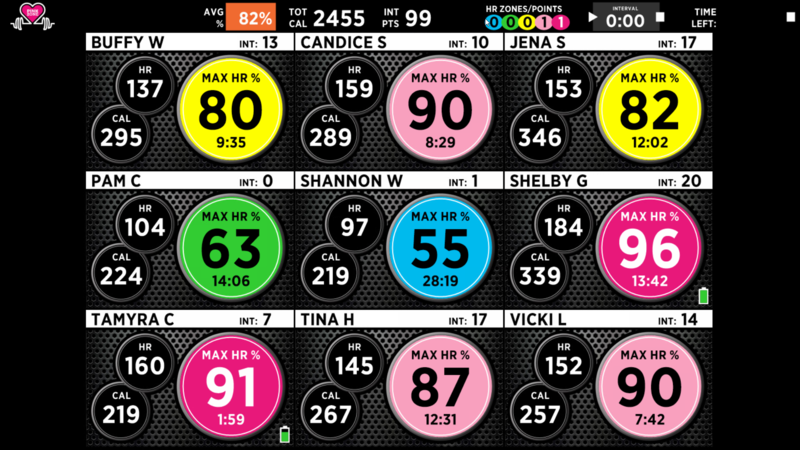 Wrist band HRMs are more convenient than chest straps, but not nearly as accurate.